Why do people compare Air NZ and Jetstar? Jetstar is a low cost carrier, Air New Zealand isn't, states Michael Riley. What might be slightly concerning for Air New Zealand is that the only reason they're compared to Jetstar so much is that they're actually so similar it'll be hurting Air NZ management. Air NZ, Qantas and Jetstar's legroom is exactly the same, and in terms of seat width, Jetstar beats both Qantas, Air NZ and low cost Air NZ airline Tiger Air. Air NZ has 33+ destinations, Jetstar has 82+ and Qantas has 313+. Jetstar checked in baggage is cheaper than Air New Zealand and Qantas's checked in baggage. Jetstar's fleet age is 7 years younger on average than Air New Zealands, and Qantas beat Air NZ on this also. Jetstar takes checked in baggage including firearms and wheelchairs, Air New Zealand doesn't. Air NZ and Jetstar both make people pay for food/drinks on their main trunk services. On time performance for Jetstar is only a few percent lower than that of a full cost carrier, Air New Zealand. This is a shocker, as Air NZ's should be far higher than a low cost carrier. Qantas's on time performance is near perfect. That's how Air NZ's should be. 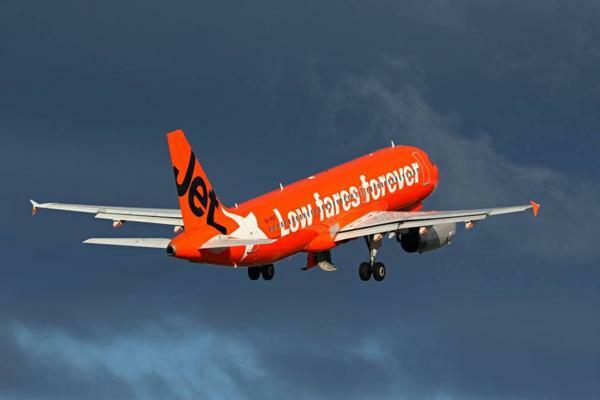 Which ever way you look at it, while yes, Jetstar aren't perfect, they're pretty damn excellent for a low cost carrier. You'll find that Qantas and Jetstar will win on mostly every point, and it should be extremely worrying that a state of the art fully incl carrier such as Air New Zealand can almost be out beaten by the likes of Jetstar in the first place. On the grand scheme, Air New Zealand is performing as poorly as the best low cost carrier in the world, Jetstar, and Qantas is performing as one of the finest fully incl carriers in the Pacific. I just can never get my head around the massive amount of people saying how "Air New Zealand is better! ", when really, they shouldn't even be comparable in the first place!